CHARLOTTE, N.C.--(BUSINESS WIRE)--Feb. 6, 2019-- Bank of America today introduced Business Advantage 360, a new digital dashboard designed to make it easier for entrepreneurs to manage the various financial aspects of their business. Available for the first time to any Bank of America client with a business deposit account, Business Advantage 360 provides a complete view of business cash flow and access to real-time expertise and guidance – all in one simple tool with new functionality. Click to view video . A new, streamlined view of key transactions, major expenses, credits and debits. Automatic cash flow projections based on scheduled transactions. Manually adjusting cash flow projections to account for additional data, such as new sales. Setting cash flow thresholds, creating time for proactive adjustments. The ability to connect with experienced small business bankers for guidance in just one click. Future capabilities of the tool will deepen the cash flow insights, provide general market research and analysis, and enable clients to manage items such as payroll and human resources, payments and invoices, merchant services, tax accounting, goal-setting and forecasting. Business Advantage 360 is built directly into the Bank of America online and mobile banking platforms, and will be available to all clients by the end of this month. The no-cost tool does not require enrollment and is accessible through a link on the main pages of the Bank of America online and digital banking portals for small business clients. With more than 9 million clients who own small businesses, Bank of America is committed to delivering a seamless experience across all channels, making it easier than ever for clients to manage their finances and gain a competitive business advantage. 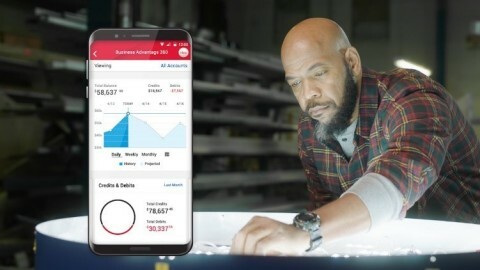 In addition to Business Advantage 360, Bank of America offers a streamlined small business mobile lending experience and launched Business Advantage Relationship Rewards, the most comprehensive multi-product rewards program available in the small business banking space.